This post examines the benefits of the backchannel for students and teachers in diverse classrooms. 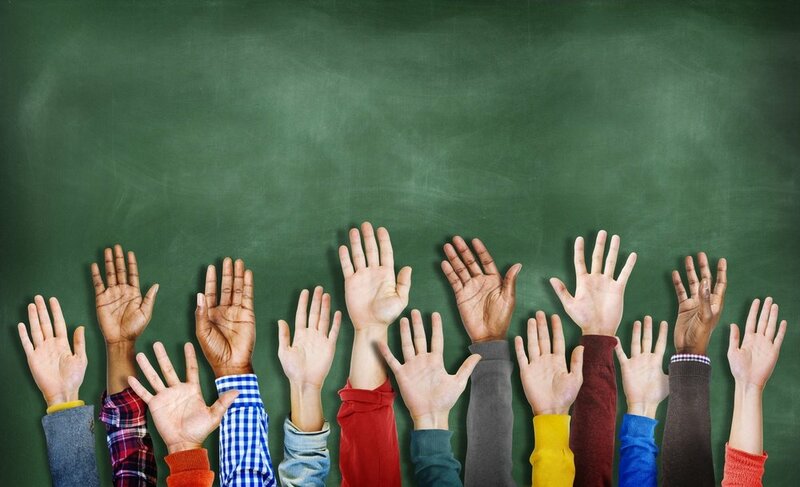 What is a diverse classroom? When students of varying abilities, backgrounds, and experiences are in one class (section, session, meeting, etc. ), the class is called diverse. Almost every class today can be called diverse! In special education, the term "inclusive" is important and is used either alongside the term 'diverse' or on its own; it is tied to the mandate that K-12 schools provide the Least Restrictive Environment (LRE) to their special needs students. According to Wrightslaw, "LRE means that, to the maximum extent appropriate, school districts must educate students with disabilities in the regular classroom with appropriate aids and supports, referred to as 'supplementary aids and services,' along with their nondisabled peers in the school they would attend if not disabled, unless a student's IEP requires some other arrangement" (U.S. Department of Education et al., 1994). The IDEA (Individuals with Disabilities Education Act) of 2004 stipulates this requirement. Having a diverse group of students simply means recognizing that all the people are unique in their own way. Their differences could consist of their reading level, athletic ability, cultural background, personality, religious beliefs, and the list goes on. There has always been diversity in the classroom, but in today's society it is important to embrace it and make positive use of it. Teachers should value diversity and they need to model this attitude to their students. When people value diversity, they recognize and respect the fact that people are different and that these differences is generally a good thing. For example, when attempting to solve a problem, it is better to assemble a diverse team with many skills and many different ways of approaching the problem than it is to assemble a team that has all their strength concentrated in one area (“Appreciating and valuing diversity,” n.d.). I'm sure I missed a category, but think you understand what I'm trying to say: Teachers need to be ready to differentiate instruction to satisfy the academic needs of students from diverse backgrounds. It can be an intimidating, overwhelming, and exhausting proposition. Educational technology has helped make this process a bit easier, thankfully, and the backchannel is one type of educational technology that supports the inclusive and diverse classroom. I bet you are glad I got to the point of this post. Back in 1991, I was a junior in college. I decided to start tape recording lectures so I could listen to them later and type out my notes. It really helped me to catch those things that the professor said during lecture that I missed as my mind wandered, which was inevitable in those days. In those days, too, the professor expected that you would know everything said during lecture, so missing something could hurt your grade. Today, however, I believe that teaching has evolved to a point where understanding is more important than recall. If I were an undergrad today, I would not need to spend hours typing out my notes to commit them to memory; I would need to be able to explain the significance of what was said, create hypotheses about why things are connected, and evaluate what others have said. It would still be nice to have that recording, though, or some written record of what happened in class, as a transcript to review while reflecting on the content. The backchannel transcript can help students who lose their concentration during class, or who need more time with the content to make connections and construct their own understanding. You can set up an outline in Microsoft Word that has discussion questions or topics; when the right time comes, simply copy and paste them into the chat box. Alternatively, you could set up a PowerPoint with one question per slide, then let the students use the backchannel application to answer questions. Those who are shy or introverted (see my last post), will welcome the chance to respond in writing. Their responses will complete the transcript, which students can retrieve at a later time to study from. If they missed something, they will realize it while studying and be able to fill in the gaps. Suppose you decide to do small group work in a class. Group work is great, but also poses one problem: Some groups will perform very well, and others will not. How can you make sure that everyone comes away with a good understanding, no matter what his or her group? I suggest using a backchannel to capture discussions and the groups' answers to questions, then share the transcript with all of your students. Using the backchannel also allows all groups to go at their own pace; helping one or the other this way will not disturb the other groups. The backchannel does not have to be solely for discussion. In fact, if you use applications such as Poll Everywhere or SurveyMonkey or Google Forms, you can set up a poll for your students to help them study for a test. One of the applications just mentioned allow you to create a word cloud from free text answers. I will leave it to you to figure out which one that is. When you are finished with the poll, publish the results to your classroom website, or send it to everyone through email. For more information, please check out these references. I hope these suggestions have given you some ideas for how to use the backchannel in your classroom to help students learn at their own pace. Thank you for reading this!